A prophetic act has taken place in Oslo during the past three weeks that lays a decisive foundation for Norway and Europe for years to come. 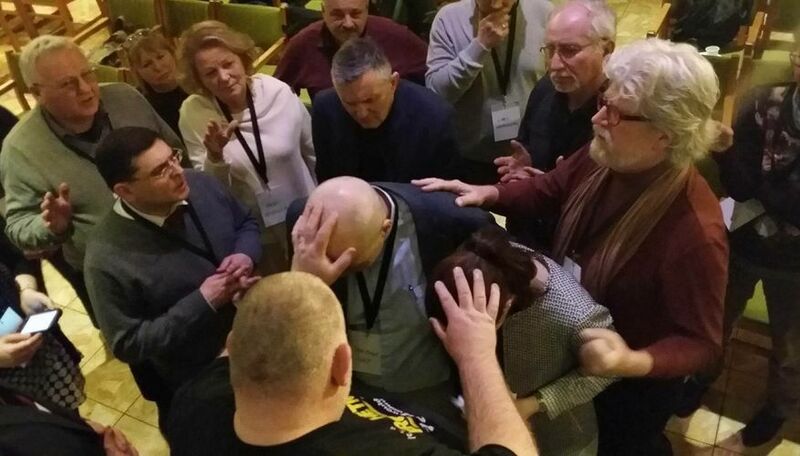 On January 20th, Chuck Pierce came explicitly to Oslo to speak a word from heaven for Oslo, Norway and all of Europe. - We are in Norway to say that God will connect from heaven into this earth realm that is called Norway and cause everything that has happened in the past to be realigned so that everything that needs to happen in the future will happen. This year there will be a group that find the right place and the right time to «put the stake of heaven» into Norway. 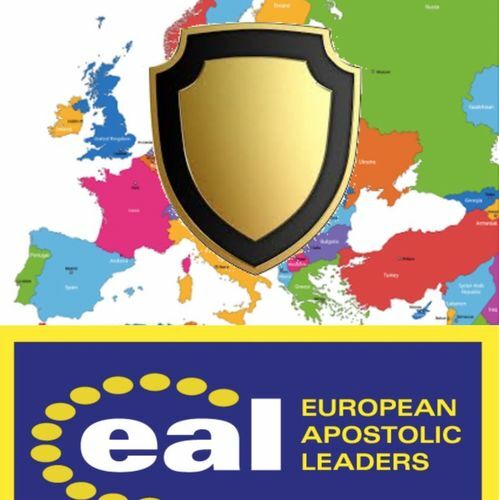 Therefore the purposes of God for Norway for the next five years will be released, and what God wants to do will accelerate, and this also represents the shield that Norway is for the nations. There needs to be a move of faith going on in Norway in such a way that the enemy´s plan can not prosper in this nation. Chuck Pierce then called Aina & Jan-Aage Torp together to the platform. 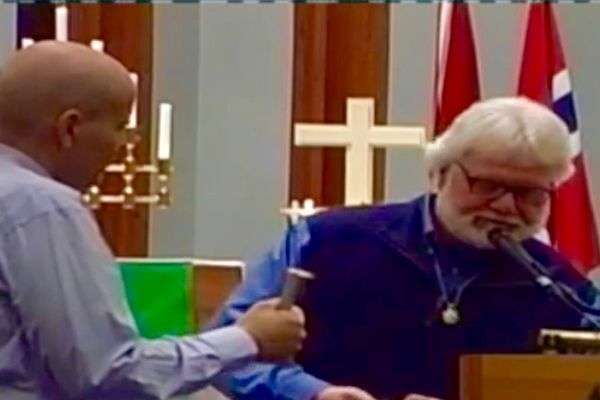 On March 31st during the 3rd Annual European Fellowship & Vision Gathering in Oslo, Jan-Aage felt that now was the time to «put the stake of heaven» into Norway. At the historic venue of the Oslo gathering, «Den Frie Evangeliske Forsamling», Jan-Aage symbolically put the stake in the ground (floor), as the apostles and prophets from 17 European nations preyed, prophesied, and laid hands on Aina & Jan-Aage for this act of putting the stake of heaven into Norway. The Norwegian delegates of the Oslo gathering were also huddled together and prayed for as representatives of this land. A prophetic word was also spoken on March 31st, declaring that the prophetic act would be completed when Aina & Jan-Aage Torp would put the stake into the physical ground at «Stortinget», the Parliament of Norway. Today this has happened. Aina & Jan-Aage hammered the stake into the ground in the circle in front of Stortinget. The circle is called «Eidsvolls Plass», which is a well-known meeting place which even was the venue two days ago for the demonstration for the Bodnariu family who lost their five children 5 months ago through the interference by the Norwegian government because of their pentecostal, evangelical practices of bringing up their children. 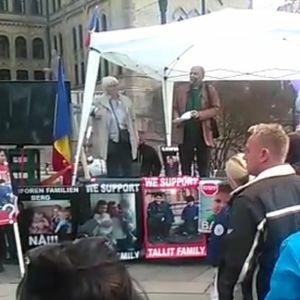 Jan-Aage was one of the main speakers at that demonstration. Eidsvolls Plass is named after the Norwegian town Eidsvoll where the Norwegian Constitution was written in 1814, becoming Norway´s de facto Declaration of Independence.